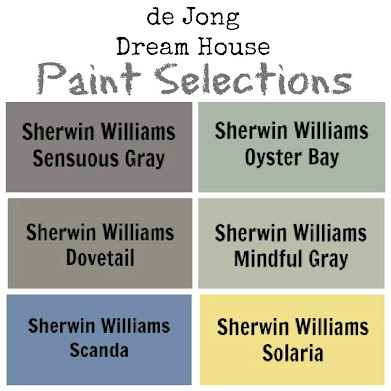 I came across a very helpful article on Houzz this morning about designing a home to age-in-place. Aging in place is a design term that means planning your home for your long-term live-in needs. This means thinking through potential challenges with mobility, vision, flexibility, etc. as you get older. 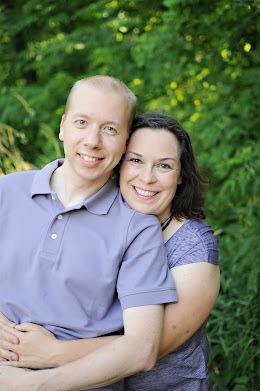 Using the article and comments as a guide, I'll show how we have planned for aging in place. 1. Make your home "visitable." The purpose of universal design principles is to make your home both visitable and livable for a many people as possible, regardless of any limitations they may have. 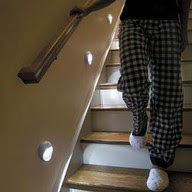 For example, stairs can make entry impossible for those in a wheelchair, and difficult for those with knees issues. A good goal is to have zero-barrier entry (no steps). This wasn't possible with our home, so we compromised with a gently sloped walkway that's easier on the joints. And we had our carpenter built us these ramps for the two short steps we have, which make a zero barrier entry into our home. The other big consideration we made was adding a first floor master with an en suite. Our room is a second master upstairs, near our toddler, but the in-law suite is available for guests of all abilities. As we age, if needed, we can easily move downstairs. Also, in case of injury, any member of our family can temporarily stay downstairs and have access to everything they need. 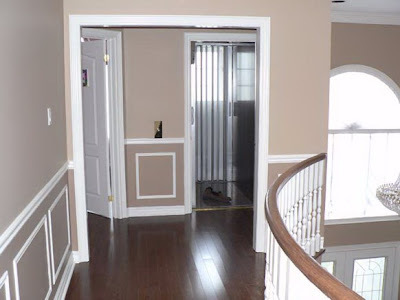 In addition to the in-law bathroom, there is also a small powder room on the first floor. Whether your joints are stiff, your vision is dim, or you live with vertigo, like I do, interior stairs can be a hazard. Wood stained stairs are beautiful, but they are too slippery for me to risk. (And I need the sound-proofing of carpet to keep my headaches in check). 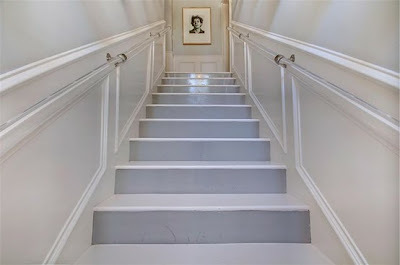 In fact, in our last house, our Shih Tzu refused to descend our wood stairs until we put treads on them! In our new house, we chose to carpet the steps (which should be done in the next week or so!). As a cost savings, we are carpeting the whole stair, but we hope to use a well-secured runner when the carpet eventually needs to be replaced. We are also putting lights into the stairway to help with visibility. 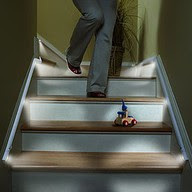 Here are a couple of other lighted stairways...that are finished for better visualization. Ours will look more like the first photo. The second photo shows LED lights, which are pretty cool. Of course, it goes without saying that a handrail (or two!) is a must. We will have handrails on both sides. Ours won't be as pretty as these, which are a great example of how aging in place can be beautiful. 3. Plan for Future Years. It used to be that a ranch home was the only option if you wanted to age in place. But now, in addition to building homes with dual masters, like we are doing, home builders are putting in residential elevators. It's much easier on the pocketbook to put in an elevator during construction that retrofitting later. Even if you don't have the funds put in the elevator, it's a good idea to plan the space for the future if your choices come down to retrofitting or moving into an assisted living center. In our case, we designed a large pantry (9' x 9'10") right under a good size laundry room. If we need an elevator in the future, we can use these spaces for an elevator shaft. Of course, putting the first floor suite should save us from needing an elevator, but it's nice to know we have the space if we happened to need it. Part of living with a brain injury, for me, means living with a great risk of falling due to vertigo issues, vision issues, and just plain brain fatigue. 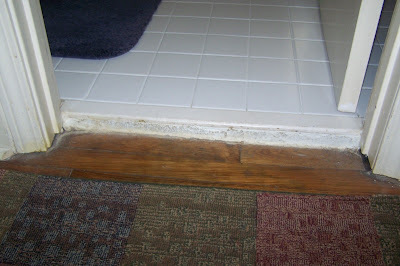 This means that we planned our floors and floor plan to reduce any uneven surfaces that would pose a trip hazard. Thresholds between rooms are a common place for trip hazards. This really came into play when we planned our flooring. In a budget-free world, we would have used cork throughout the house. It's quiet, soft, sound-proofing, earth-friendly and beautiful. However, it's also a pricey flooring option, so for now, it's going in our kitchen, dinette and pantry. 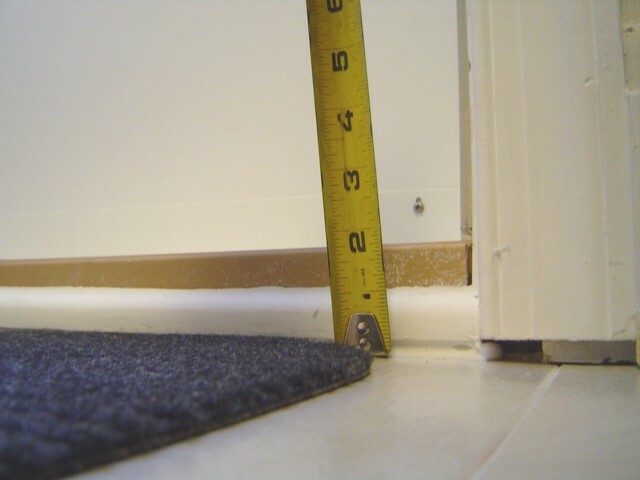 We tried to save money with luxury vinyl tile in the mudroom and in-law suite, but we would have had too much of a height difference in our thresholds between rooms, thus causing a trip hazard. Instead, we put tile in the mudroom (and foyer and powder room), and carpet in the in-law suite (and great room and office), so the floor is level throughout the main level. In addition to being a trip hazard, uneven transitions pose a challenge for those in wheelchairs. 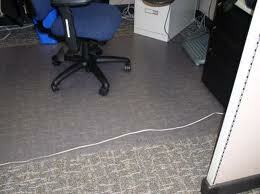 Cords can also pose trip hazards, as can rugs. 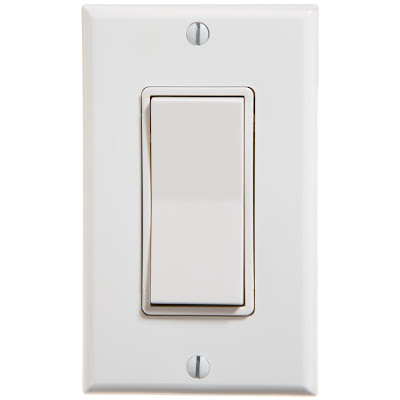 The solution for us is to have great overhead lighting, natural lighting, and only use lamps where they can be plugged in close to a wall outlet. This cord should be under the floor mat. In the 80s, when I was growing up, sunken living rooms were all the rage. Since trends seem to return every few decades, it's worth noting that this trend is not a very good one for universal design. These are a major trip hazard and mobility challenge! 5. Say No to Knobs (and Switches). My mom has arthritis, so when we first started designing our house, she made the request that we avoid knobs on the doors and hardware because levers and pulls are much easier to use. 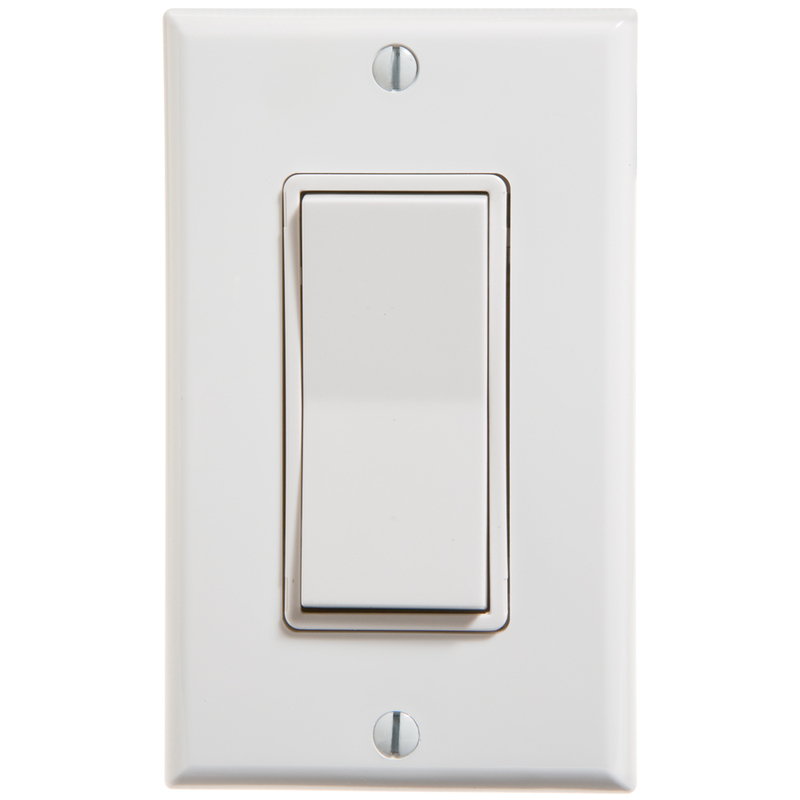 We also opted for rockers on our lights instead of switches for the same reason. As you make your selections, make a fist with your hands to test the ease of use of your choice. 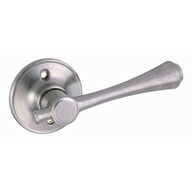 Levers instead of knobs for doors. 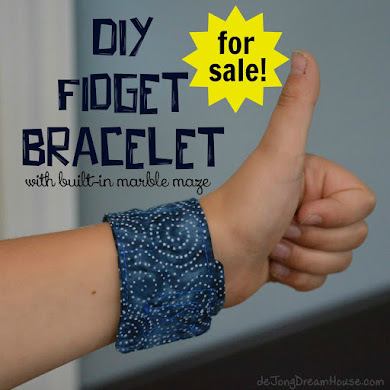 Pulls instead of knobs on hardware. 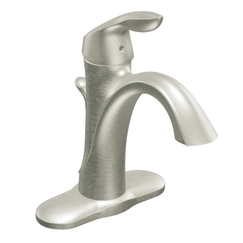 Levers instead of knobs on faucets. 6. Consider accessible seating and access in the kitchen. As kitchens are returning to prominence as the center of the home, make sure that the seating you provide is easy for anyone to use. Consider a variety of heights for tall and short users, as well as wide aisles for wheelchair accessibility. In our new home, we have (at least) 40" aisles in the kitchen and 36" doorways. We have stools at bar height in our entertainment counter, but our kitchen is partly open to our dinette, which has table height chairs. Also, the baking center and the kitchen command center are both open underneath to accommodate wheelchairs. Inspiration for my baking center. Kitchen command center in progress. 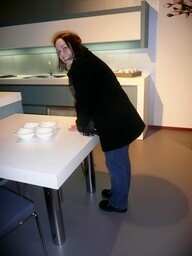 Consider use and access in kitchen design, as well. Think about reaching what you need from a seated position. 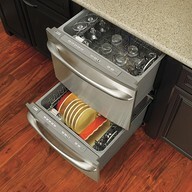 Raised dishwashers are easier to access from a wheelchair, and also easier on aging backs. A modern alternative to the raised dishwasher is the dishwasher drawer, which is especially nice for smaller families or empty nesters. Drawers provide easy access to dishes, glasses and other kitchenware for older and younger users, as well as those in wheel chairs. 7. Offer Independence in the Bathroom. In addition to the kitchen, the bathroom can cause the most inconvenience for accessibility. 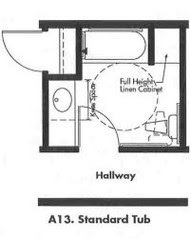 In addition to the things mentioned above, a bathroom needs to be designed with room for a wheelchair to maneuver and easy access to the shower. This diagram shows an example of the radius needed for a wheelchair to maneuver comfortably (and independently) in a bathroom. If you know that a family or frequent guest is in a wheelchair, a wheel-in entry to the shower is best. Our in-law suite was laid out with room for a chair, but we opted for this tub instead of the wheel-in. For the needs of our family in particular, it's less likely that I'll need a chair, but I have some balance issues. This shower has a moveable seat that allows me to sit down as I shower. We are also designing our vanity that's open under the sink, like this, to allow a wheelchair under it. 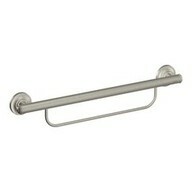 An easy aid to incorporating grab bars into fixtures like the toilet paper holder and towel holder. 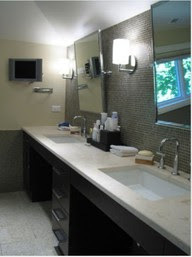 We are using these fixtures from the Moen Home Care collection. Building a home to age in place is a lot like going green or being energy-efficient: it's a process. There's always more you can do, but whatever little thing you do do is better than nothing. One commenter in the inspiration article from Houzz used the term "invisible accessibility." 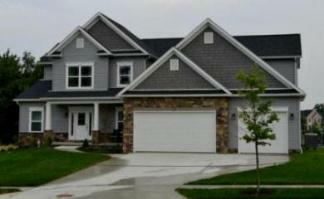 That our goal, to create a beautiful modern home that subtly and fully meets the needs of all our family and friends.